Are you one of those bloggers who need guidance when it comes to content creation and blogging business? People are quick to assume that blogging is a no-brainer activity, but it has its own challenges just like any other day job! If you are experiencing difficulties in managing your blog, keep on reading. This list of blogging tips for beginners contains the most common mistakes bloggers make, and a few tips on how to avoid them. Personal blogging, content writing, blog writing tricks, and blogging tips for beginners? We’ll help you get rid of all roadblocks, so you can take your blogging career to a whole new level! Blogging requires a lot of learning, creativity, patience and hard work! Sometimes, when you tell people that you blog for a living, they roll their eyes. “That’s so easy,” they would say. They always assume that a blogger gets a paycheck for just for sitting in front of the computer all day, writing and browsing the internet. Crazy, right? What if they become a blogger for a day? I’m sure that once they sit down to write their first post, they would realize that it is way harder than they thought. They would mess up—exactly just like any person starting a new job. Before they day ends, they would Google “blogging tips for beginners” to help themselves improve their work! Want to earn money using your blog? 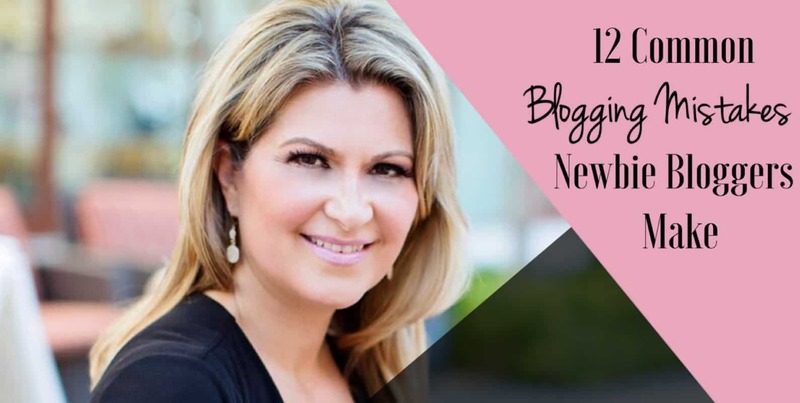 Here are 18 reminders for new bloggers like you! Sooner or later, they would realize that it’s not easy to be a successful blogger. 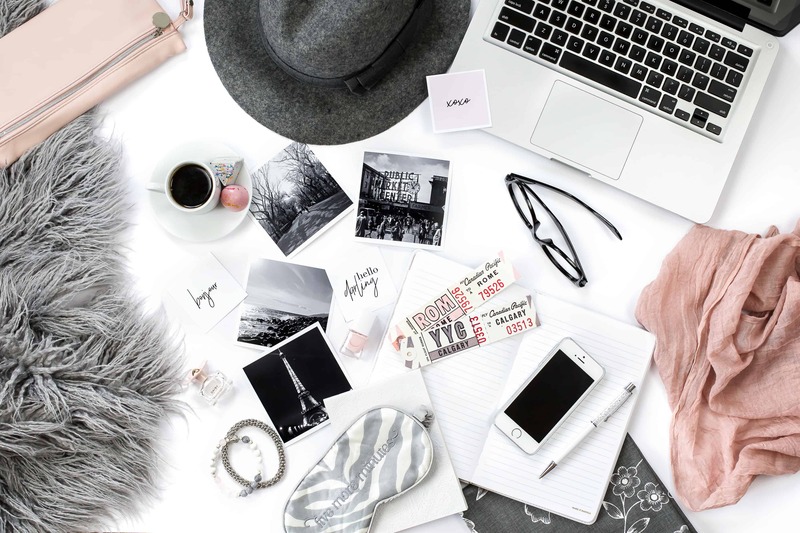 Success in the blogging scene requires a lot of learning, patience, creativity and hard work. For someone who is not yet ready to take on a major blogging task, even a single blog post can be very challenging. 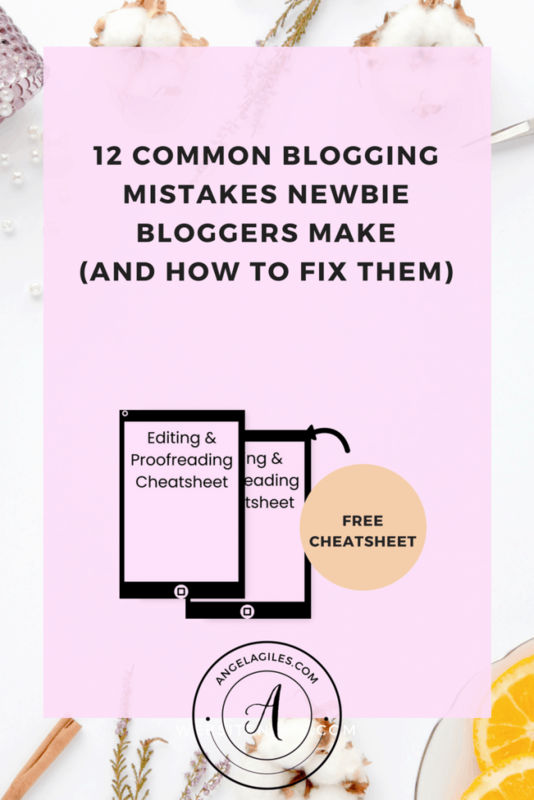 Determined to avoid those common mistakes bloggers make? Are you about to write a new blog post? Take note of the following tips! Start with a very specific working title. Create an outline and use headers. Use data to back up your claims. Take 30 minutes to edit your post. Blog consistently with the help of an editorial calendar. Blogging Mistake 1: Your topics are too broad. What are the topics you want to write about? In what way can those posts help and inspire your audience? You thinking of writing about these subjects? Well, I’m telling you—these topics are far too broad. There are so many details and nuances in the topics mentioned above, so it’s hard to do a good job in answering them. I understand that when people start blogging, they generally want to write about really big topics. But, to get the most long-term and short-term benefits of blogging, you need to get way more specific. More specific topics tend to attract smaller, more targeted readers, those who are more likely to converted into leads and customers. Blogging tips for beginners? Here’s the solution! — Always make sure that your working titles are very specific. Creating content on specific topics is crucial to knocking your first few blog posts out of the park. Read about blog writing and content writing tips for beginners. 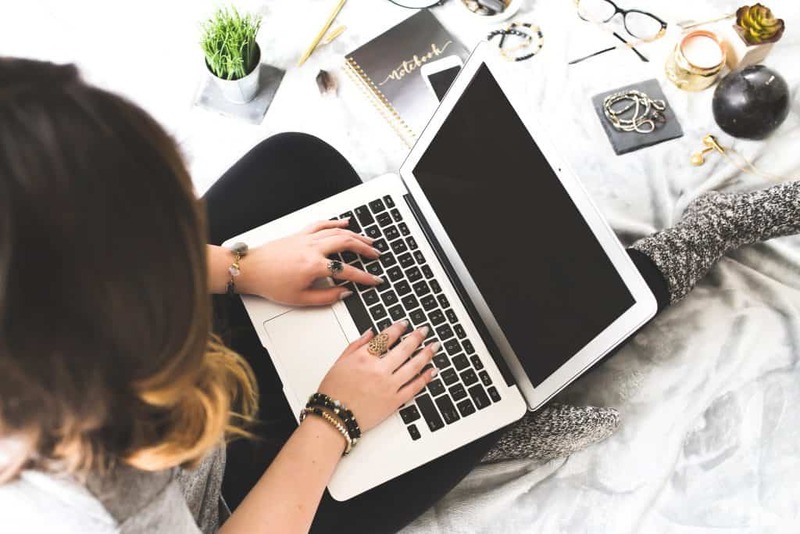 You need to know how to pick a particular topic that works for your business or personal blog, and narrow it down into a catchy, working title. The working title isn’t final though! It just serves as a concrete angle you can use to keep your writing on track. Nail those two things, then it will be much easier for you to write blog posts. More blogging tips for beginners? Get access to “Editing and Proofreading Cheatsheet” by joining our Free Resource Library, just CLICK BELOW! Blogging Mistake 2: Your writing style is too stiff. Maintaining an interesting writing style is important! Writing a blog post is very different compared to writing a term paper. When bloggers first start out, they usually only have experience with the latter. The problem? Term paper writing style is not the style people enjoy reading. The truth is, most of the people who see your post aren’t going to read the whole thing. How to keep them interested? Execute a writing in a style that is effortless to read. Blogging tips for beginners? Here’s the solution! — Be more controversial in your writing. Write like you talk. That is a highly recommended writing style when it comes to blogging. Don’t sound like a robot! Your readers would want to feel like they’re talking to a friend, or doing business with real professionals. The more approachable your blog posts are, the more people will enjoy reading it. Be playful when it comes to your writing. Get rid of the jargon. Why not make puns and throw in new contractions? Loosen up your writing! Write just like how real people talk–that’s what real people would like to read. You can know more about this by researching about blog writing and blogging tips for beginners. Blogging Mistake 3: You think that good ideas always come to you in random moments. Random ideas can come to us at random moments. Blog post ideas may come to you while you’re on a run or taking a shower but good ideas in general are not always good for your company. Ideas themselves should never be random. Blogging tips for beginners? Here’s the solution! — Your blog posts should serve large business and personal goals. Ask yourself first… why do you blog? If you’re blogging to grow your company, all of your blog content ideas should help serve those business growth goals. They should address the specific questions and concerns your prospects have, and natural tie-ins to certain issues in your industry. If you work with a team, chat with your manager and sales people to get advice and ideas on how to achieve your business objectives. If you’re just starting out and is currently a one-man team, contemplate and do your own research. Don’t be nervous, you can do it! There are a lot of content writing and blogging tips for beginners around to help you out. Blogging Mistake 4: You think other people care about you as a writer. Several newbie bloggers think that their readers will be inherently interested in their personal stories. But let’s face the truth: When you’re new, no one cares about you and your experiences. Your audience will care way more about what you can teach them. Blogging tips for beginners? Here’s the solution! — Don’t “tell” your personality. Show it! Regard every new reader as a new friend. Why not crack some jokes? Make pop culture references? To be a successful blogger, you need to have your own way when it comes to writing humor and vivid descriptions! Through your playful way with words, you can infuse some parts of your personality in every blog post to make your readers feel more comfortable with you. Blog writing tips for beginners? Always look for ways to relate to your audience on the topic you’re writing about. Then, write in the first person as if you’re hanging out with them and talking about it. By making your writing tone engaging and approachable, you connect to your readers in a personal manner. They would surely love a face-to-face conversation! Need help in writing catchy headlines? Click here for 6 catchy headline writing tips you can follow to improve your blog’s click through rate! Blogging Mistake 5: The stream-of-consciousness writing style is good for web content. At times, when there’s an idea we’re really excited about, we would want to just sit down and let it flow by writing down or typing on our computer. Have you tried this? Did you get to write quality content? Some bloggers who write spontaneously would usually get a sub-par blog post, simply because the stream-of-consciousness writing style is not good for online content. Why? Because majority of your audience will just scan your blog posts, not read them. If you want them to read it word by word, your content needs to be highly engaging, organized and informative. Blogging tips for beginners? Here’s the solution! — Keep your content organized by creating an outline and using headers. Think about what type of post you’re going to write. Will it be a curated collection post? A listicle? A how-to post? Once you have figured this out, you can start drafting your timeline. Writing an outline can make a huge difference in your content. Believe me, just put in enough time to create a logical flow in your post by organizing your thoughts, and the rest becomes easy. Any beginner’s guide to blogging will advise you to do this. You’re basically just filling in the blanks! So, how exactly do you write a blog post outline? First, come up with a list of the top takeaways you want your readers to get from you. Break up those takeaways into bigger section headers. Inserting a section header every few paragraphs makes the blog post easier and more enjoyable to read. That can also help with your strategy, since keywords in every header is good for SEO purposes. Now, do you think you’re ready to write? All you have to do is fill in those sections! Blogging Mistake 6: Your online posts border on plagiarism. Many newbie bloggers think that they can get away with the old copy-and-paste technique. But no, they can’t. Every blogging tips for beginners list cites that plagiarism won’t work for your blog. If they catch you stealing other people’s content, you could get your blog penalized by Google. This would be a big blow to your website’s organic growth. Readers, editors and other bloggers can usually tell if content has been copied from somewhere else in the world wide web. How? Well, your voice wouldn’t sound like you, and that there’ll be some incorrectly used words. Blogging tips for beginners? Here’s the solution! — Always cite your references. Research on how you can cite other’s content in your blog posts. It is one of the most important things to learn when you’re starting out. Blogging Mistake 7: Failure to use data as evidence. Let’s say you are writing a blog content on why businesses should consider Instagram marketing. What do you think is the most convincing argument? The first one, of course! Statements are much more compelling when supported by corresponding research and data. This fact is always present on very content writing and blogging tips for beginners list. Catch your readers’ attention by presenting data-driven claims and arguments. Flowery and fluffy words sound good to the ears but will get your content nowhere. Think of yourself as a professional, experienced marketer who does not only convince people to be on his or her side about a certain issue—you should also convince them to take actions. Blogging tips for beginners? Here’s the solution! — Use data and research to back up your claims and arguments. In every good story, you should provide a primary argument, establish proof, and then end with a takeaway for the readers. So how can you introduce your main argument? Utilize research and data in your content and show why it’s relevant to your audience. Blogging Mistake 8: You always want to write the “perfect” post. Planning to insert more images? Improving choice of words, and better phrasing for perfect content? Blogging tips for beginners? Here’s the solution! — Just ship the post! Give yourself a break once in a while—remember, perfect is the enemy of done! You’re really never going to reach “perfect” anyway. Of course, you wouldn’t want to publish a blog content filled with grammatical errors and factual inaccuracies. But if some typographical errors slip through, never panic. It’s not the end of the world and it most likely won’t affect the views and leads it brings in. Moreover, if someone finds the mistake, all you have to do is update the post. No biggie. Blogging Mistake 9: You think you’re done once the blog writing is done. Most bloggers make the mistake of not editing their posts. All of the ideas sounded so fluid in their heads that they think it is a great read, exactly as it is. But nope—it still needs editing. A huge part of your post still needs to be edited. This is one of the most important content writing and blogging tips for beginners. Blogging tips for beginners? Here’s the solution! 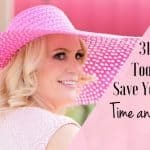 — Allot 30 minutes (or more, if needed) to edit your blog article. Stop committing this common blogging mistake. Even the most experienced writers know that their works need proofreading and editing. First drafts are full of ideas, yet can be very disorganized. Every beginner’s guide to blogging stresses the importance of shaping up a blog post before publishing it. Take your time to fix typographical errors, run-on sentences. Surely, there will be a lot of accidental mistakes along the way. Blogging Mistake 10: You focus your analytics too much on immediate traffic. Are you guilty of this common blogging mistake? Both newbie bloggers and advanced bloggers need to review blog writing for beginners lists from time to time. Do you focus your analysis on immediate traffic? That is, on RSS feeds, traffic from e-mail subscribers and social shares? Then, it’s going to be hard to prove the enduring value of your website. The half-life for those sources is very brief—usually just a day or two! Usually, marketers who just started their business blogs get frustrated if any of their blog posts fail to generate any new traffic in a few days. They automatically think their blog is failing, and as a result, they abandon it prematurely. Blogging tips for beginners? Here’s the solution! — Concentrate on the cumulative potential of organic traffic. Never focus on the sudden decay of short-term traffic. Instead, concentrate on the cumulative potential of organic traffic. After quite some time, the traffic from day 3 and beyond of a single blog content will eclipse that huge spike from days 1 and 2, thanks to being found on search engine results pages through organic search. You just need to give it a while. How to drive this long-term traffic? Well, the more you read about blogging tips for beginners, you’ll learn that it is important to write blog posts with durable relevance on a regular basis. These are called “evergreen” content—posts which are relevant and valuable year after year with little or no upkeep. As you establish search authority by creating more evergreen content, you’ll gain a large percentage of blog traffic. It all begins with a little shift in perspective from daily traffic to cumulative traffic, so you can reframe the way you see your ROI and blog entirely. Blogging Mistake 11: You don’t blog consistently. At this point in your blogging journey, you’ve probably heard that the more often you blog, the more traffic you’ll gain in your website. Consequently, you’ll get more leads and subscribers from your posts, too. However, as important as volume is, it’s actually more recommended to blog consistently when you’re just getting started. More blogging tips for beginners? Publish more than 3 posts every week. Publishing 3 articles in 1 week, then only 1 or 2 in the next few weeks is not considered a good blogging habit. This can also confuse your subscribers. It’s not easy to form a consistent habit, but try your best to blog regularly. To help establish consistency, you need to build a concrete planning strategy. Take a look at reputable companies. Since they are highly committed in publishing regular quality content, they reap the best rewards in terms of website traffic and leads. The results of their routine, however, continue to pay out over time. Blogging tips for beginners? Here’s the solution! — Use an editorial calendar. Develop the habit of planning your blog content and topics ahead of time. Schedule posts in advance if you’re finding yourself having a particularly productive week. Blogging Mistake 12: You are no longer growing subscribers. Blogging is not just about getting new visitors to your website. One of the biggest benefits of maintaining a blog is growing a big e-mail list, allowing you to share your content with your subscribers. This can propel your blog posts’ long-term success. Do you want to get amazing leads, traffic and customers? Well, in order to get these significant business results, you need to start growing subscribers! Blogging tips for beginners? Here’s the solution! — Add call-to-action (CTA) statements and regular e-mails. Use a marketing tool to set up a welcome e-mail for new subscribers, as well as regular ones that pull in your most recent blog posts. You can also include subscription CTAs at the footer of your website and anywhere else, to make it easier for people to opt in. Your CTAs should be simple, one-field e-mail opt-in forms near the topmost part of your blog, above the fold. At times, you can put them at the bottom of the blog posts. More blogging tips for beginners? Why not create a dedicated landing page for subscribers? Use this to direct people to other channels such as e-mail, PPC or social media profiles. 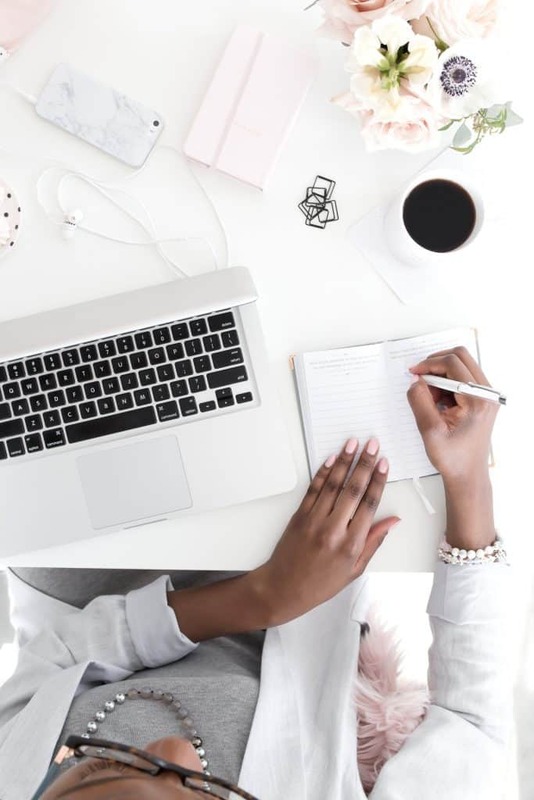 You may encounter a lot of challenges as a newbie blogger, but once you’ve learned the ins and outs of being one, you’ll be able to maximize your website’s potential. Want to learn 11 new ways to monetize your blog? Click here! The more you blog regularly, the better you’ll get at it! 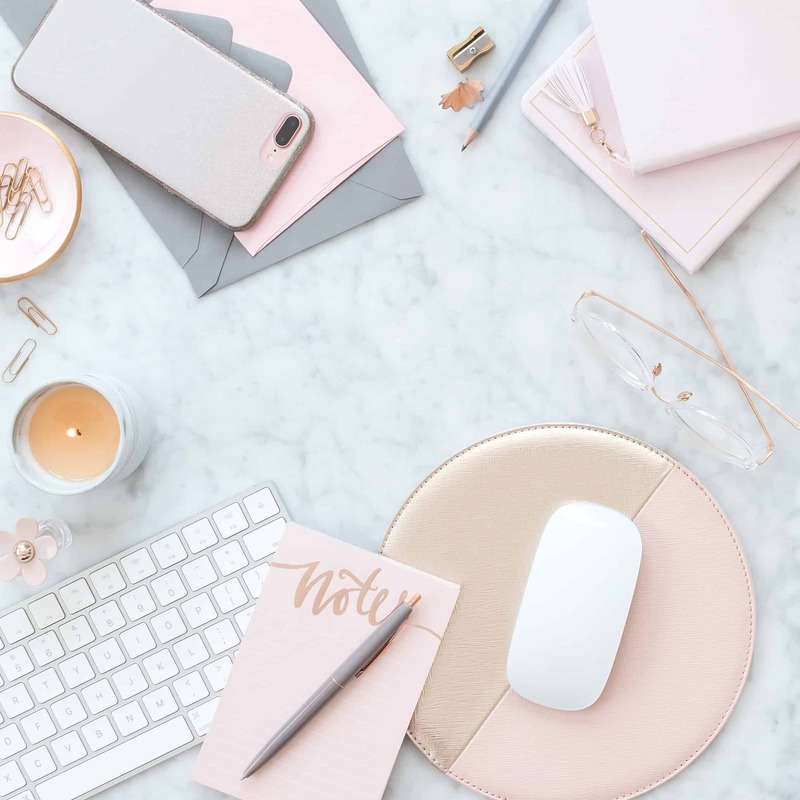 Now, that you’re done reading this, you might be telling yourself… “Well, this is awkward… I’ve literally done every single one of these common blogging mistakes.” Don’t worry, because the more you blog and produce online content, the more you’ll get better at managing it. Soon, you’ll be able to reap the benefits in terms of traffic and leads in the process. This list of blogging mistakes is the fuel for your blogging fire! Use this to step up your blogging game. A healthy business and personal blog will be well worth the time and effort! HAVE YOU COMMITTED ANY OTHER MISTAKES AS A BLOGGER? HOW DID YOU SOLVE IT? LEAVE A COMMENT AND LET’S CONNECT! I WOULD LOVE TO LEARN FROM YOU! Great post thanks for the insight! I’ve been blogging for a while now and still make some of these mistakes. My biggest one is the editorial calendar. It’s really something I’d like to conquer eventually lol. I definitely could use this help, thanks! on letting my personality come out in my posts, but it’s definitely taken a bit! Great tips for beginner bloggers, and those who may need some gentle reminders…like myself! Thanks for posting, I gained some much needed insight from your post. These are very helpful. I’m a newbie and I’ve struggled with allowing my personality to show in my work. I’m passionate about traveling but wasn’t sure that I should “be myself”. Thank you for these! These are great tips and I really needed to read some of these to help me with my blog. I am pinning this so I can keep referring back to it, Thanks! I am a terrible rush editor. I just get so anxious to finish the post that I just do a quick skim and regret it every time! Wow, I love these great blogging tips for newbies. I love the reminders about data and research, CTA’s, be controversial & blog consistently. Insightful post. 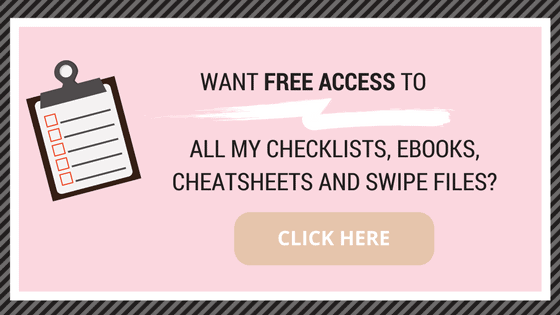 This is super helpful especially for newbie bloggers. Thanks for sharing ♥️ ♥️ By any chance you are interested on doing collaborations, you can check out the collaborations portal of Phlanx.com and connect with amazing brands! This post helped me a lot! As a non-English native speaker, I learned to write english for examinations and litterature. And that’s how I used to write my blog post! I’m so glad I’ve realized it as a beginner: it would have been to bad to realized it after 30 articles published haha! Thanks for sharing the post.. parents are worlds best person in each life of individual..they need or must succeed to sustain needs of the family.